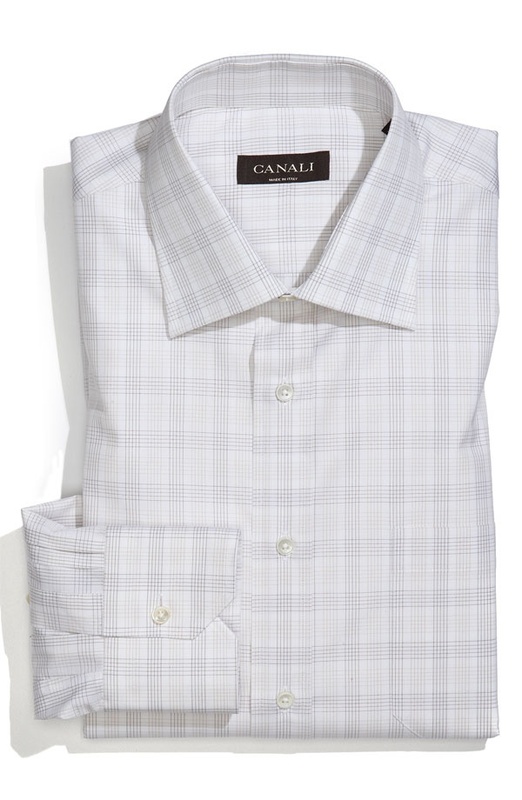 Canali offers some fine detail with this check pattern, regular fit dress shirt. Featuring a spread-collar and a chest pocket and mitered single-button cuffs, it’s great if you’re in the mood for a little design as opposed to a solid white shirt. Made in Italy, the cotton shirt is available online. This entry was posted in Dress Shirts, Tops and tagged Italy. Bookmark the permalink.